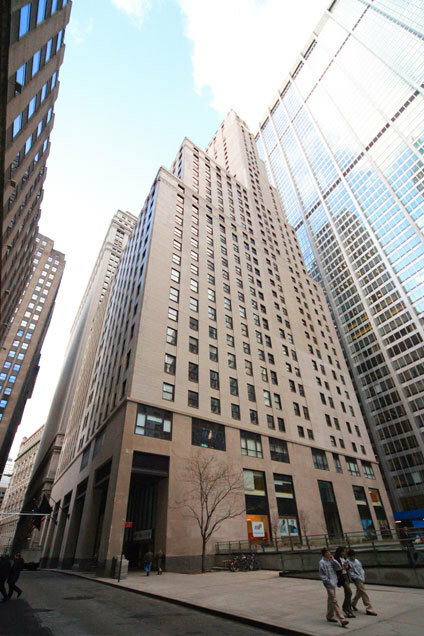 20 Pine Street has 408 units on 38 floors, and is situated at Pine and Nassau Streets, close to Broadway, the New York Stock Exchange, the Seaport, and the World Trade Center. Please complete Financial Information form (enclosed). This form must be filled out in its entirety in order for your application to be considered for review. Please make sure your totals match your supporting documents exactly. (all self-employed/business persons must have the form completed by his or her CPA). Please upload Employment Reference/Verification letter (stating annual salary, position held, length of employment). If you are self-employed, please submit a letter from your CPA or Accountant stating your income. Please upload a copy of commitment letter and loan application. Please upload one (1) personal reference letter. Please upload driver's license, non-driver identification, alien registration card, valid US passport or foreign passport with US visa. Please complete Lease Agreement. (enclosed) Please be advised that no Lease Agreement will be accepted which begins within ten (10) business days of the Board's Waiver of Right of First Refusal. Please complete Employment Verification Letter (stating annual salary, position held, length of employment). If you are self-employed, please submit a letter from your CPA or Accountant stating your income. Please upload driver's license, non-driver identification, alien registration card, valid US passport or foreign passport with valid visa.